I got an email the other day from a guy who said, “You never tell anyone what you’re up to anymore.” Good point, guy. First up, I have a novel coming out (my first), and I’m funding it on Kickstarter. It’s called Our Secret Better Lives, and it’s about Katy, a first-year at a small college in L.A. in 1994 who might actually have a shot at becoming a rock star. 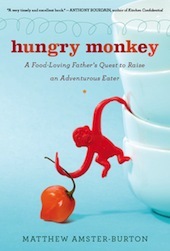 If you enjoy my food writing, I think you’re going to love this. It’s funny and sweet and full of snappy dialogue. I’d love your help publishing it. Read the first chapter now and pledge here. Thank you! I’ve just started writing for Supper Club, a division of The A.V. Club, a division of The Onion. My first piece, about Seattle teriyaki, will be out next week. 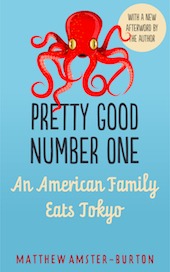 I also write other books, most recently Not One Shrine: Two Food Writers Devour Tokyo. Look for them in book places. And I still cohost Spilled Milk every week with Molly Wizenberg. Best job I’ve ever had. We did a live show in Seattle last week, and we have another coming up soon. Listen to the show for details. Finally, I occasionally write pieces for Medium unrelated to food or anything else, like this piece about a semi-obscure English pop band. Hope that covers it, guy! This entry was posted in Uncategorized on September 10, 2016 by mamster.